Middle East and North African (MENA) data center colocation markets have long been the object of one of the most peculiar dichotomies in the global digital economy. MENA digital markets are incredibly deep, supported by nearly 200m active broadband connections, a GDP of around $2 trillion, financial markets with global reach and some of the most ambitious exercises in societal digital transformation in the modern world. And yet, in the midst of such a digital boom, the MENA data center colocation market – which truly, should be thriving -, has comparatively been plodding along. This, at long last, is changing, as a series of transformational trends usher in what we see as a golden age for the MENA multi-tenant data center market. Middle East and North African (MENA) data center colocation markets have long been the object of one of the most peculiar dichotomies in the global digital economy. MENA digital markets are incredibly deep, supported by a population of 300m, nearly 200m active broadband connections, and a GDP of around $2 trillion. The region is home to some of the highest levels of broadband penetration in emerging markets, financial markets with global reach and the theater for some of the most ambitious exercises in digital transformation in the modern world. And yet, in the midst of such a digital boom, the MENA data center colocation market – which truly, should be thriving in light of the above-, has comparatively been plodding along. Until 2018, the MENA region only had one public cloud facility by one of the world’s top-5 hyperscale cloud providers. 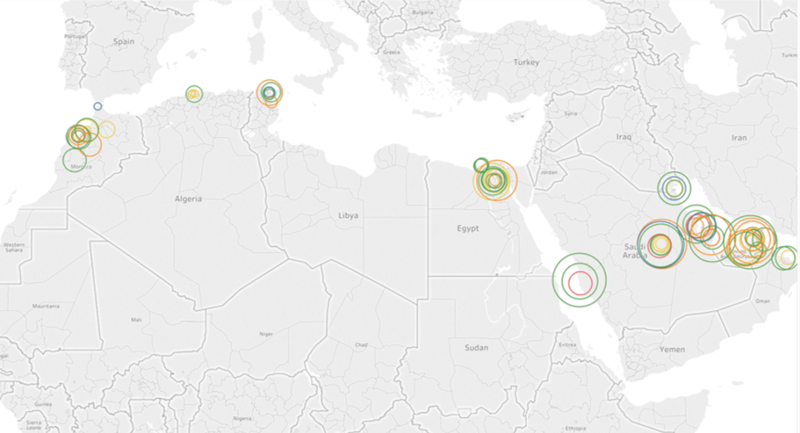 Half the countries in MENA have fewer than 5 edge nodes by global CDN and Internet providers. This, however, is changing; a colocation market that has heretofore been playing catch-up is now on the cusp of considerable growth. More enterprises are adopting colocation services. And in the most significant illustration of transformation, at least 9 public cloud data centers are slated to become operational in MENA in 2019. Hyperscale demand is transforming colocation demand patterns and volumes, altering the colo market’s traditional competitive structure, business models, and the very nature of the region’s data center facilities. This report provides an analysis of this ongoing transformation, including the nature of the current data center infrastructure, enterprise demand for colocation, revenue structure, and hyperscale cloud provider impact on supply, revenue, and overall competitive market structure. 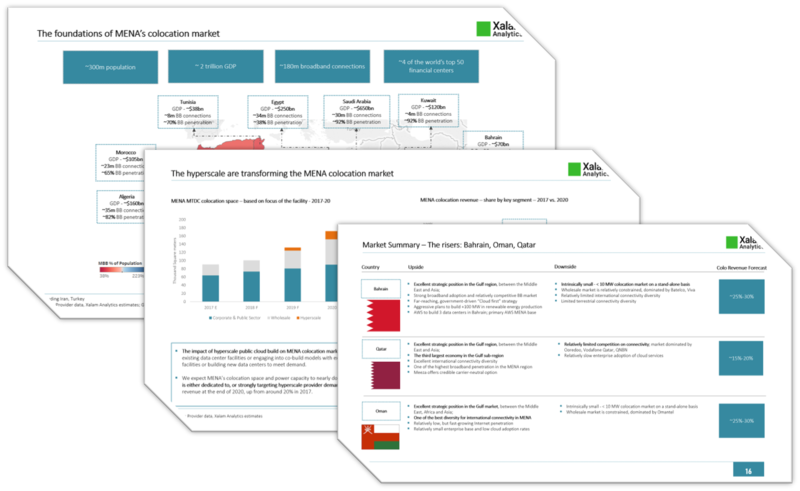 A reference report for all stakeholders and investors in MENA colocation and Internet infrastructure markets. Premium research. Budget-friendly options. 10% off online purchases. 10% off online purchases! Discount applied at checkout.